I'm honored to be apart of this team. I, uh, like your shirt. Its good to be back you know. 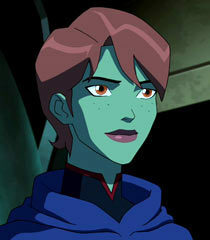 Beastboy!, I missed you , how you doing. (she will never say this but just to see if you can really get into the voice) Hello Megan!